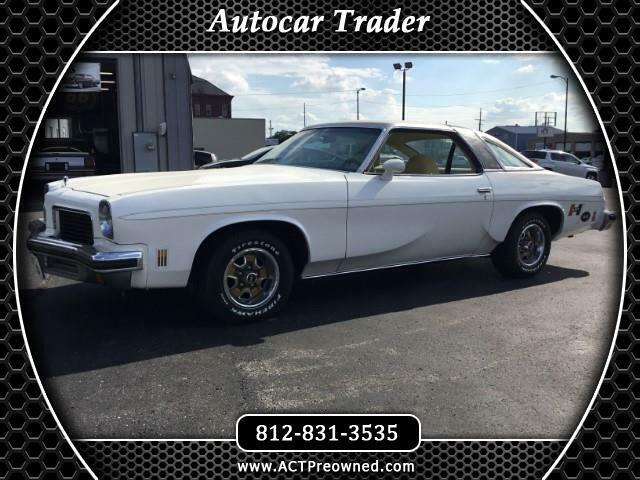 1974 Hurst Olds Cutlass S, Small Block V-8 Automatic, it is a AIR car (compressor bad) Swivel Bucket seats and factory console, ( driver seat needs some minor repair and console nice shape but missing Tach) Factory Hurst wheels, new vinyl top and repaint a few years back, quality about a 7of10. The Price is subject to change as this car will be going through some minor restoration and repairs. it runs and drives well mechanics are good. Some things needed are the gaskets around the doors the hood strip installed ( in box in car) the A/C fixed and seat repaired and Detail. This Hurst car is priced below market at this time for the person wanting to make it there own. Message: Thought you might be interested in this 1974 Oldsmobile Cutlass.